Phonica recently described Joey Anderson as one of the discoveries of the year whilst Resident Advisor were giving his latest record the much coveted ‘RA Recommends’ with a 4.5/5 review. Naturally with such esteemed support we were compelled to press play whilst trying to think for ourselves about the music being presented to us, all to often a wave of consensual opinion has a tendency to colours ones own honest opinion. 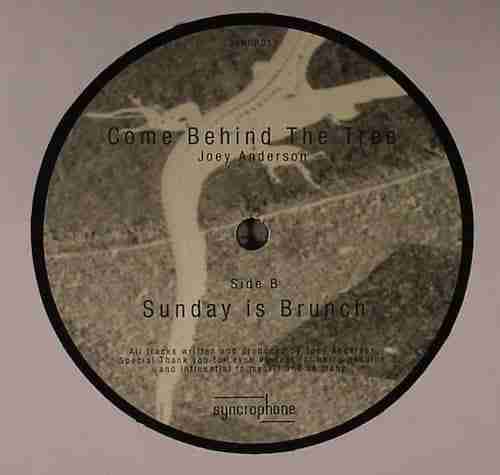 Pessimism aside and independent thought unfettered we can conclude that Joey Andersons organic analog tones are richly rewarding as they combine a techno template with an ever evolving collage of other wordly textures, however we should point out this is a patient record, meaning if you listen to this once and just skip through the clip below, you’ll miss it. Should appeal to fans of Daniel Avery, Levon Vincent, Livity Sound, Hodge and the like. Out Now (click here).